Support One Dreamer and become part of the highly anticipated game. Lucid Edition gives you the opportunity to add your name or alias into the full game release. 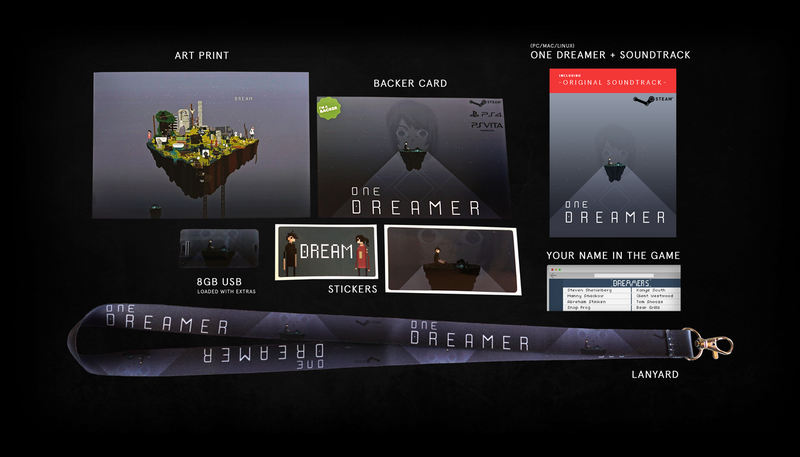 Also included is a preorder of One Dreamer + OST and limited edition items dispatched within two business days. All proceeds go towards the games development, helping us make One Dreamer a truly unforgettable experience. *MAC, PC or LINUX. Physical goods shipped within two business days of purchase. Estimated game & soundtrack delivery TBC (release date). If you have already backed One Dreamer on Kickstarter and would like to purchase Lucid Edition please contact us so we can arrange a discounted price.